We made this craft for Father's Day this year! 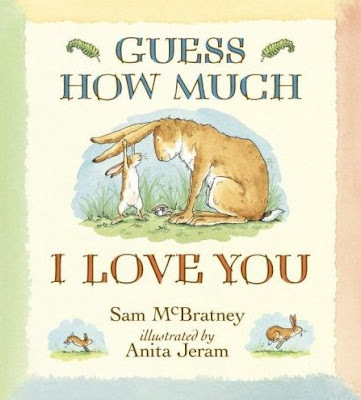 We also read this story! Perfect for Father's Day AND to go with the craft! 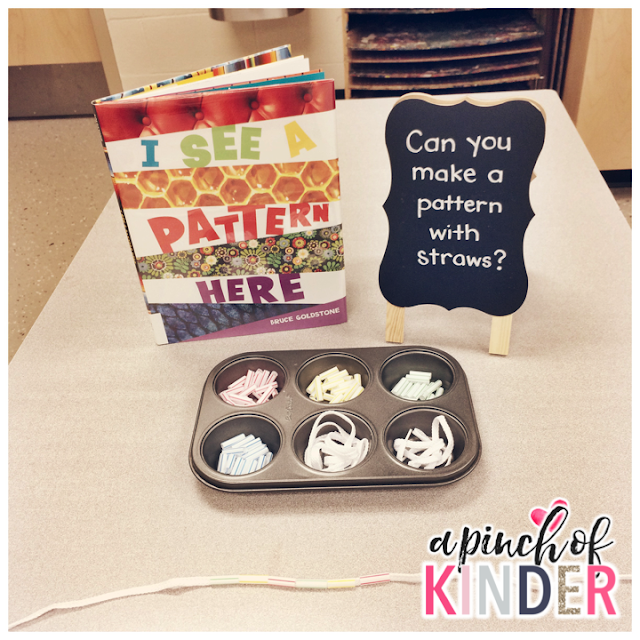 My kids love patterning so I set out some cut up straws, shoelaces and a patterning book to create this provocation. It sneaks in some fine motor too ;) The kids loved this centre and it was popular all week! 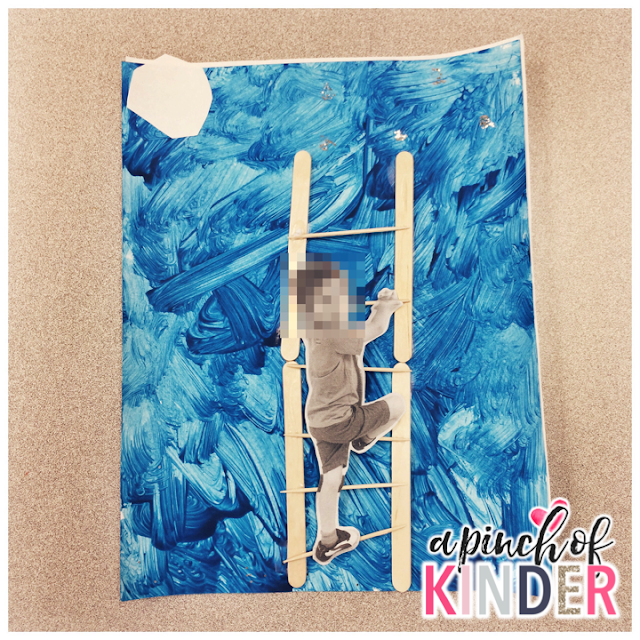 I make a lot of samples for a variety of centres and one day I asked if any of the kids wanted a sample I had made for the painting centre. Since so many kids wanted it we decided to set up a raffle station where the kids can put their name in a bucket if they wanted to win. Since then so many of them have decided that they want to make a painting to be raffled off! I set up 3-4 paintings on easels with buckets in front and small pieces of paper for them to write their names. I tell them to write their names, fold it twice and place it in the bin that is in front of the artwork that they want. At the end of centre time I collect the buckets and have the artist come up, name the painting and draw for the winner. They have been coming up with such fun and creative names! Today was our Kindergarten Celebration of Learning. All parents were invited in to our room in the afternoon and we got to share some of our learning from the year. We started with a slideshow with music as the parents arrived and once most parents were seated we started our presentation. In our presentation (a second slideshow) we had students come up and talk about each slide, what we were doing and/or what they learned. The parents loved hearing their child and other students speak about their learning from the year. 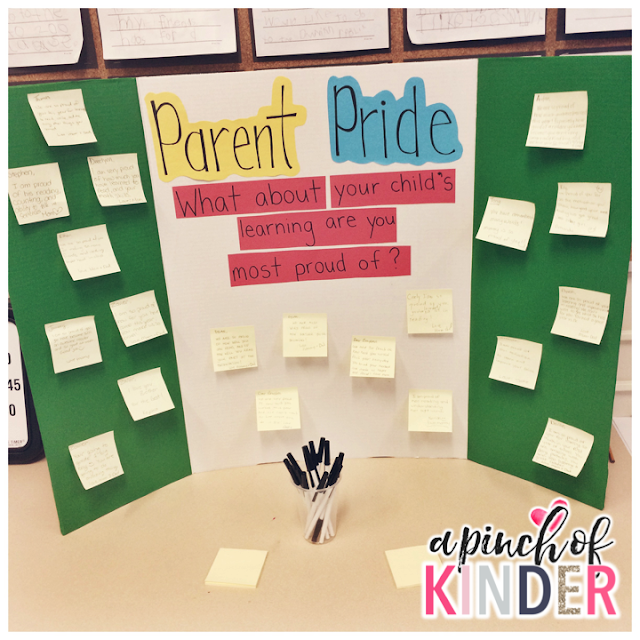 At the end we invited the parents to write down one or two things that they are most proud of about their child's learning from the year on a post-it note and stick it on this Parent Pride board. 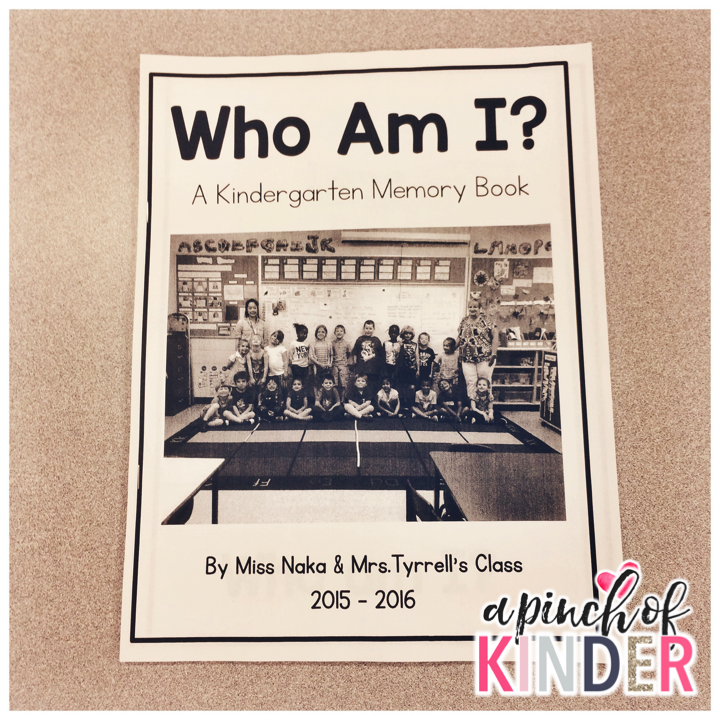 It was a huge hit and I am excited to read what their parents wrote to them on Monday! This is one of my favourite end-of-the-year traditions. 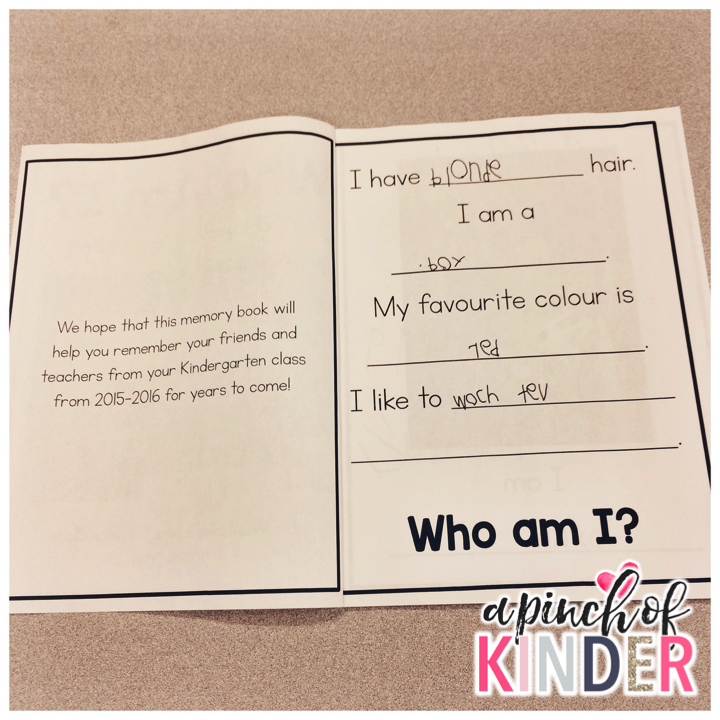 Each year we make this "Who Am I? A Kindergarten Memory Book" and send it home on the last day of school. and the answer on the next! We have the students fill in the blanks and then I outline their writing to make it pop a little more. I love this book and not only is it a great keepsake (for me and the kids) it's also simple enough for them to read and parents often tell me that it is one of the most read books in the summer! That's it for me for this week! We have 3 more days with the kids and 1 P.A. Day and we are out for the summer! 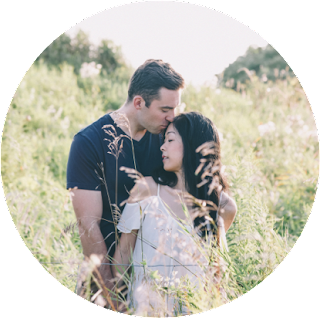 Actually I just checked and it has only been 2 weeks, but for some reason it feels like it has been forever since I last blogged! With report cards, case conferences and permanent teaching postings closing yesterday (for those of you who don't know, I am a LTO) I have been SWAMPED with paper work! 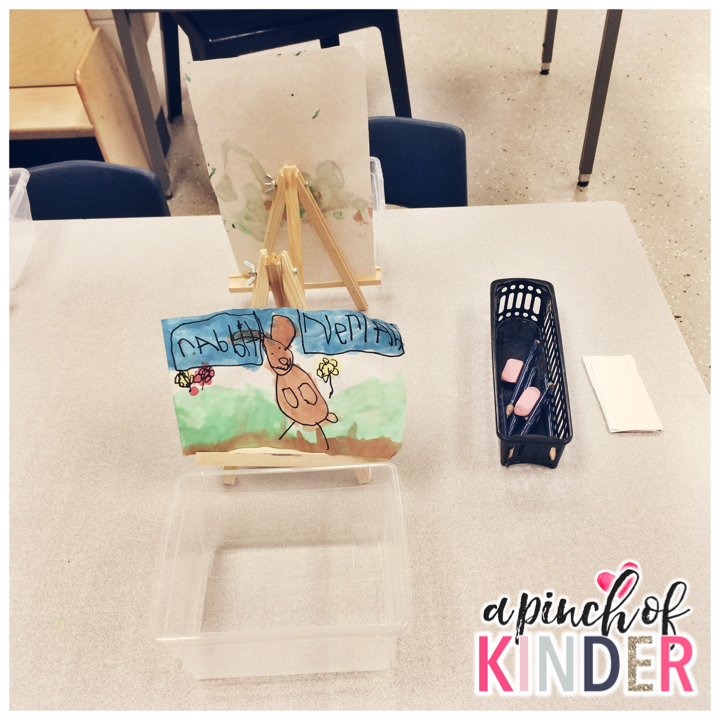 But now that that's all done and I have a quiet morning to myself, I'm linking up with Kacey from Doodle Bugs Teaching to share a little update on our classroom from the last week! I had originally found these foam shapes a few months ago at Dollar Tree and since I knew we were going to be raising caterpillars again in the spring I snatched them up. I finally used them and made a few math flip & trace games. 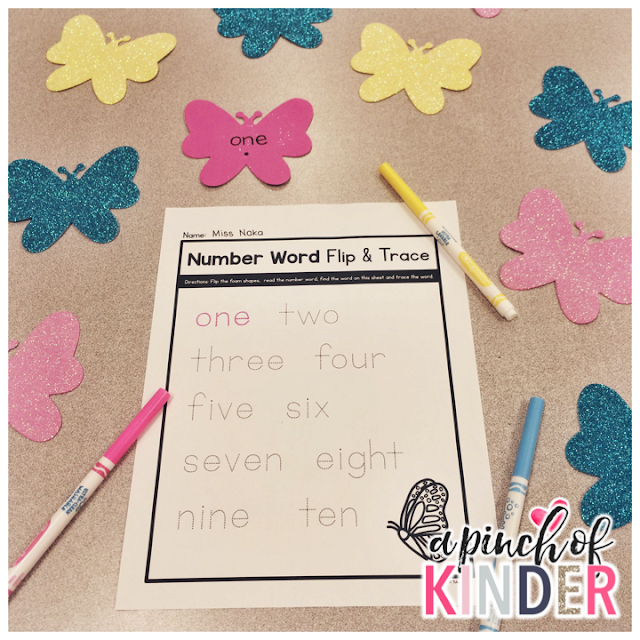 For this one the students were told to flip the butterfly over, read the number word and trace the matching word on the sheet. I put the corresponding number of dots under each number word for the kids who are still learning their number words! 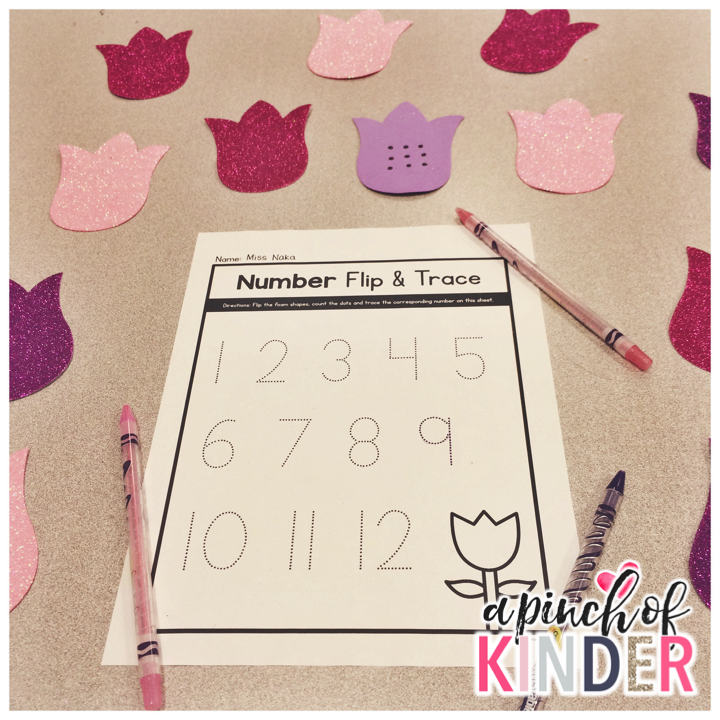 For this one I put just dots (1-12) on the back of the tulips and had the students flip, count the dots and trace the matching number on the sheet. 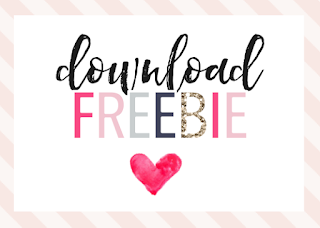 If you want to try this activity you can grab the free printable by clicking on the image below! Our kids have been so good all year about tidying up after themselves but when we learned that we could win the Golden Trash Can Award for having the cleanest classroom in the school at last month's assembly, their motivation to keep the class clean has increased even more! They were rewarded for all of their efforts this week and we were presented with the award! 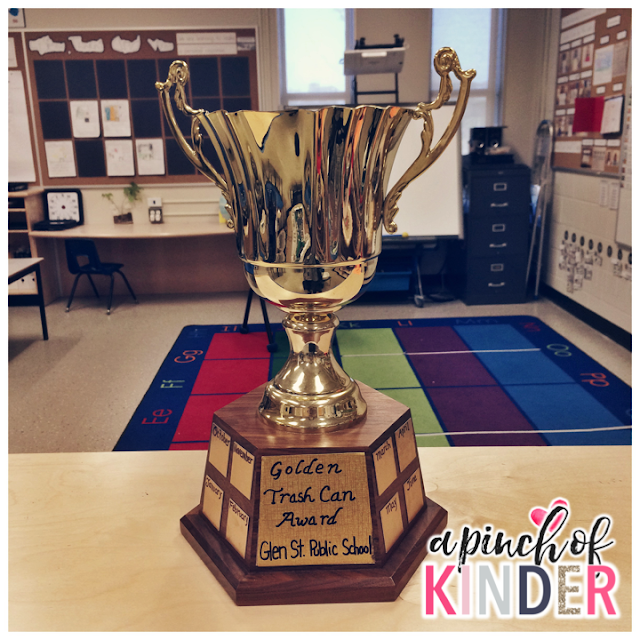 We also got a treat on Friday as a prize :) I'm proud of them, they have always worked hard at keeping our classroom clean with minimal reminders even before the award so I can truly say that it is well deserved! 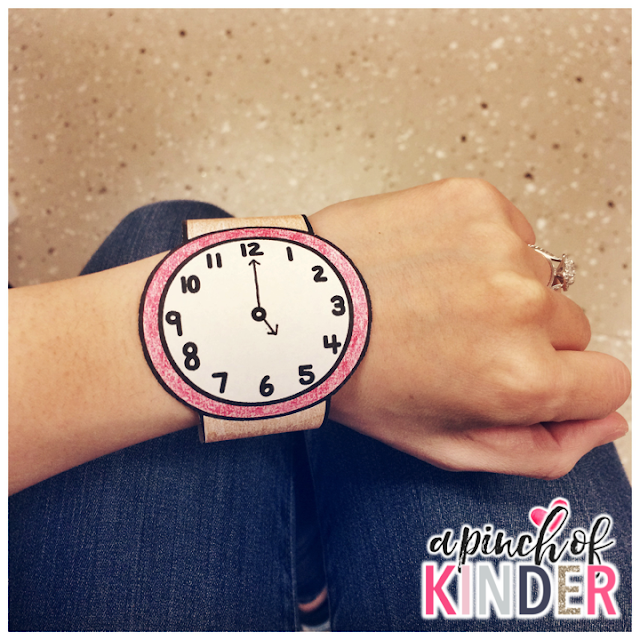 I got this idea from the amazing Darla (you can see here post about it on Instagram here) and knew my kids would love it too! All you need are some feathers, some water colour paint (I make mine by sticking dried up markers in water over night), paper and sight words! These sight words are from our word wall. I told them that they can choose any sight word from the word wall to write. 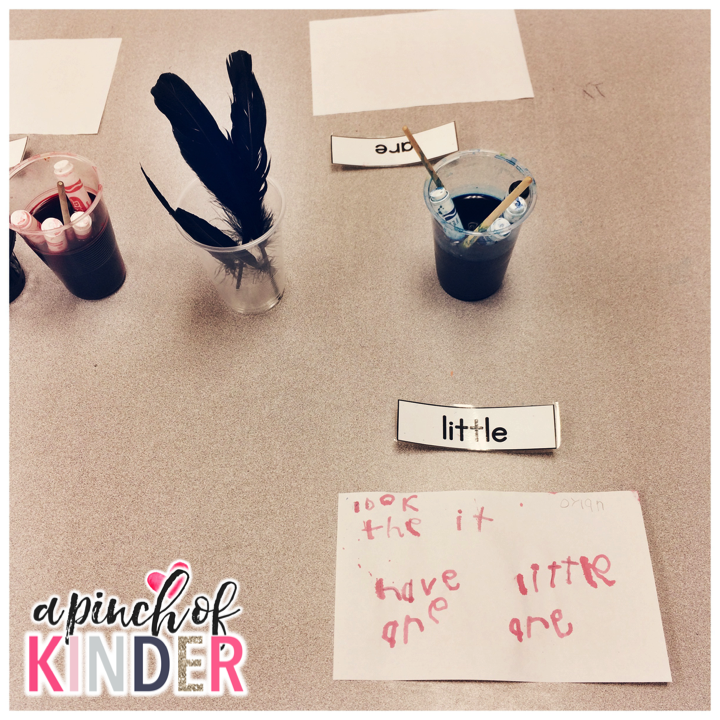 They loved this activity as literacy centre for the entire week! 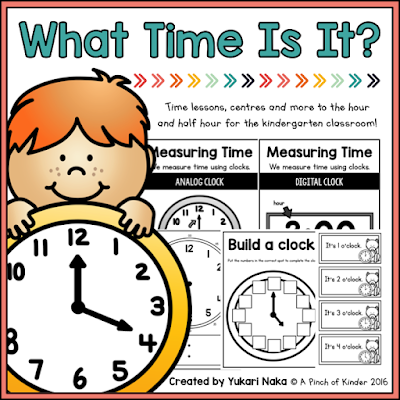 Last week we started learning about time. 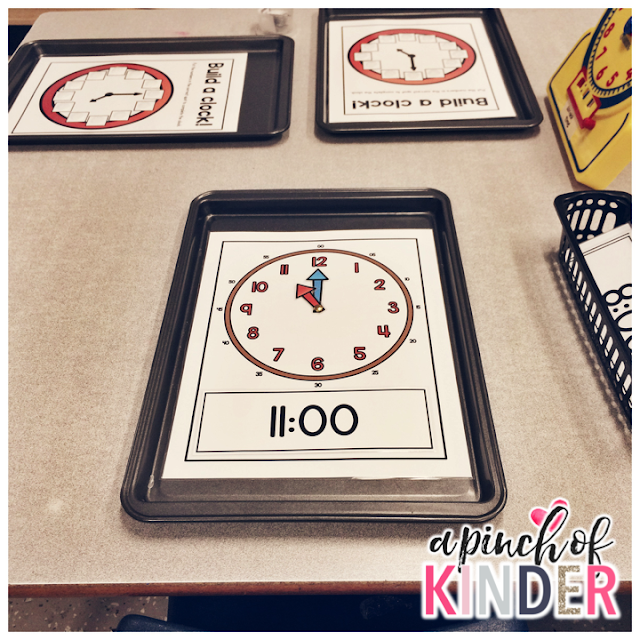 We started with the vocabulary morning, afternoon, night and 1 second vs. 1 minute. Now we have moved on to telling time on a clock. 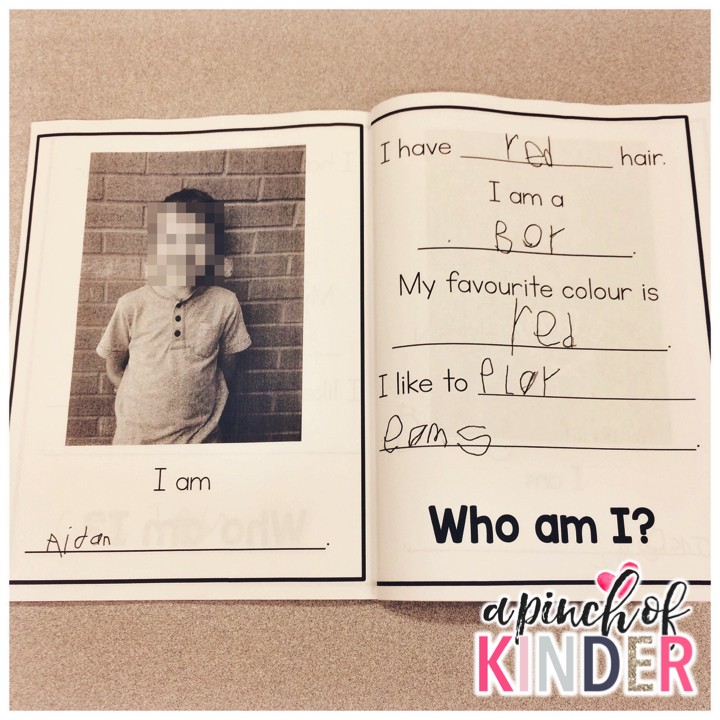 This is not a kindergarten expectation but I have a really bright bunch this year and though some exposure wouldn't hurt. Build a clock: Pick a number from the container, look at our classroom clock and put the numbers in the correct spot. 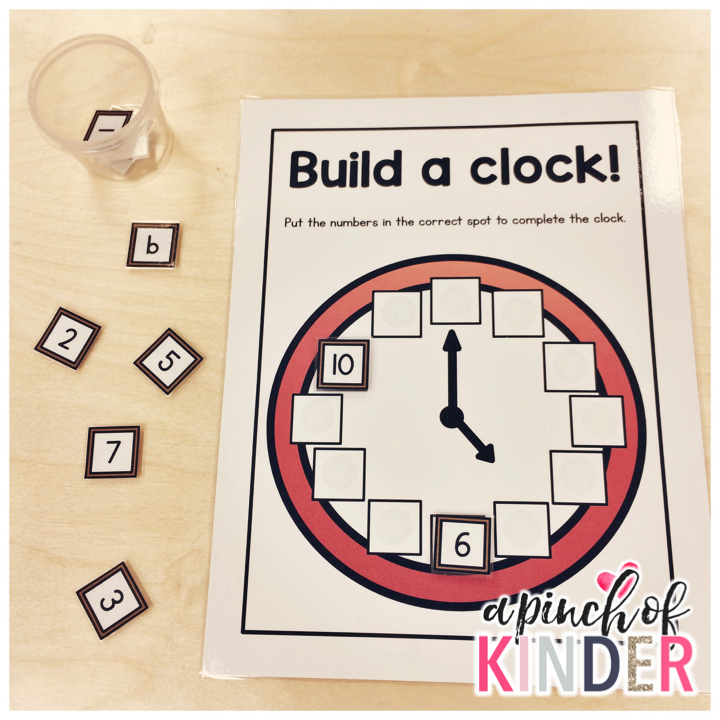 Clock Mat: Pick a time card from the bucket and move the clock hands to match. Every month (since February) we have been doing a writing piece that connects to a read aloud. 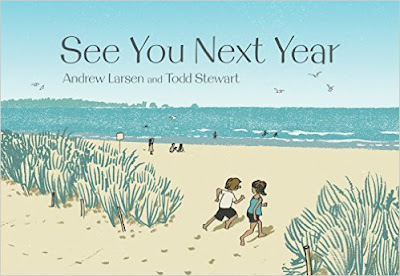 For June I read "See You Next Year" by Andrew Larson. In the story "See You Next Year" the girl goes to the beach for her summer vacation. 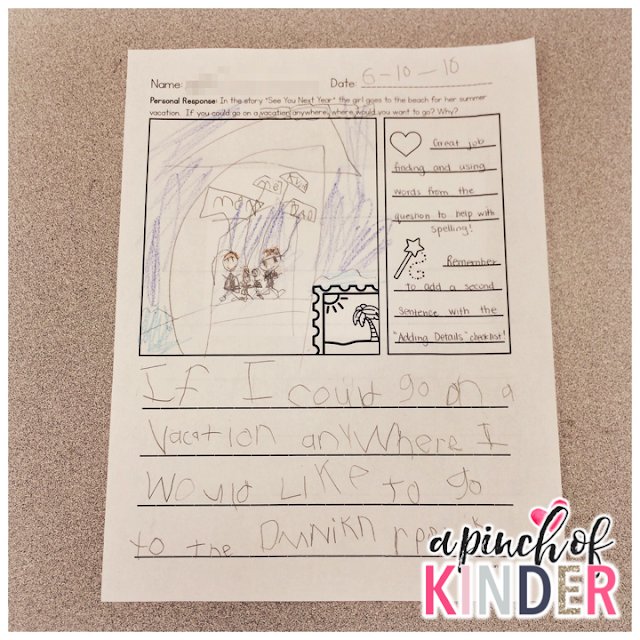 If you could go on a vacation anywhere where would you want to go? Why? Here is one sample. This little guy said "If I could go on a vacation anywhere I would like to go to the Dominican Republic because my mom got married there." I was so impressed by his schema! Some other popular responses were the beach, Legoland and Disneyland. 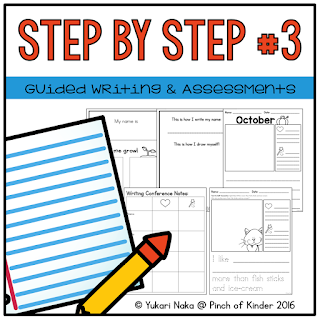 If you would like to try this writing activity in your classroom it is included in my "Step by Step 3: Guided Writing & Assessments" Pack. That's it from me this week! 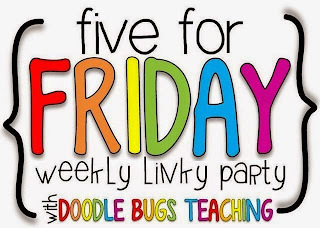 Click on the image below to read more Five for Friday posts or to link up one of your own!